Chhath is an ancient Hindu Vedic festival historically native to eastern Uttar Pradesh, North Bihar of India and Mithila State of Nepal. The fervour around the puja is marked by offering prayers to the Sun god, fasting and taking dips into the holy waters of Ganga . 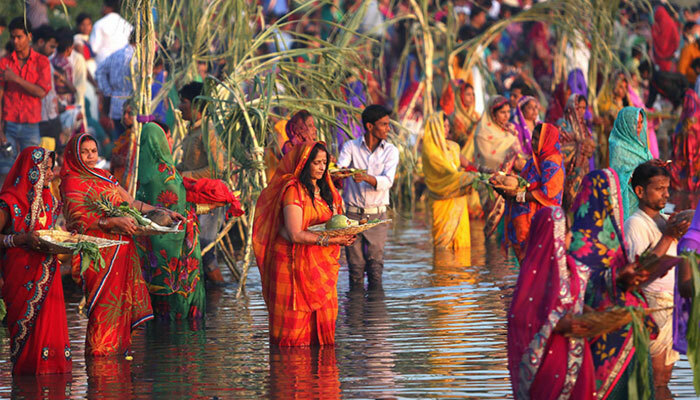 Said to be a descendant of the Sun god, some say Lord Rama has a lot to do with the inception of Chhath Puja. On returning to Ayodhya after the exile, Lord Rama and Sita observed a fast in honour of the Sun god and broke it only at the break of dawn next day--a ritual that subsequently evolved into the Chhath Puja. Prominent mythological character Karna is said to be the child of Sun god and Kunti. 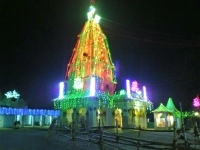 It is said that Karna religiously offered his prayers while standing in the water and distributed prasad among the needy. 3. Worship of Chhathi Maiya (consort of the Lord Surya) is held at Chhath puja, Chhathi Maiya is also known as Usha in the Vedas. Usha means dawn (the first light of the day). People pray to Chhathi Maiya to overcome their troubles as well as to get the Moksha or liberation. 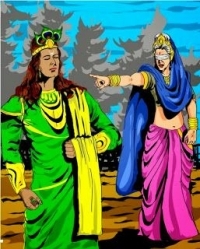 A long year ago, there was a king named, Priyavrat and his wife Malini. They were living very happily but there was a big unhappiness in their life as they have no child. They decided to make a big Yagya by the help of Maharishi Kashyap in order to be blessed with a child. His wife became pregnant because of the effect of Yagya. But she had given birth to a dead child after nine months. King was very sad and decided to suicide. Suddenly, there came a Goddess in front of him while suicide. Goddess said that, I am a Goddess Khashti, if someone would offer puja to me with pure mind and soul, he would definitely get a child. The king, Priyavrat did the same and blessed with a very beautiful and cute child. Since then, people started celebrating the chhath puja. 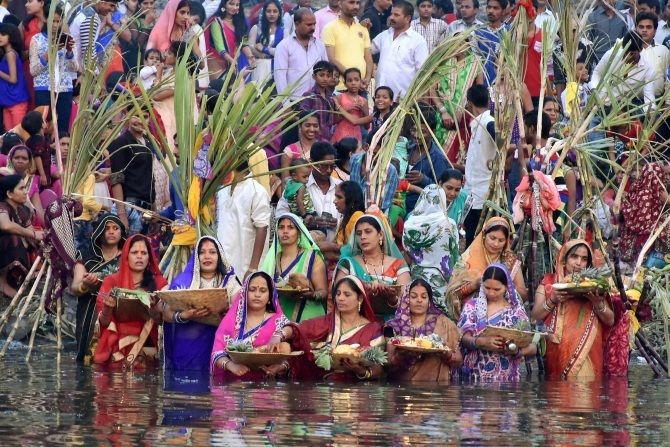 It is believed that worshipers of the Chhath take holy bath and follows a period of abstinence and become separate for 4 days from the main family. Throughout the period he is believed as the pure spirit and sleep on the floor having single blanket. Devotees fast till the Kharna puja concludes. After which a combination of jaggery-laden kheer and puris is offered to the gods and distributed among those who'd observed the fast. The toughest and third day of Chhath has devotees--mostly women--observe a rigid fast where they neither consume water nor food. Dedicated to Sun god's consort, Chhathi Maiya this day is marked with folk songs and taking dips in the holy waters of Ganga, Kosi and Karnali--that go on till the sun sets.